So, today, I suddenly remembered that I need to have Their Eyes Were Watching God read BY TOMORROW (and I just KNOW my professor is going to give a scary quiz on it). I began to furiously read and finished about half of it. Randomly, my mind stopped and my ears began to concentrate. I couldn't be hearing that. I must be imagining it. NO, NO. IT IS IT. It IS the glorious theme of The Magnificent Seven that I hear... IT IS CALLING TO ME. Without realizing it, I set down the book and allowed myself to be led into the other room. Before I could stop myself I was sitting on the couch and halfway through the film. Ah well, it's only two hours or so. The absolutely wonderful Bob Hope was born 108 years ago today. Bob Hope is one of my favorite people to ever exist. He brought so much joy to the world. 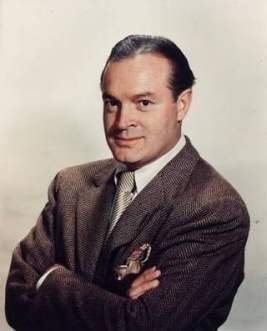 I don't remember the first time I watched a Bob Hope movie or what it was, but I was already a life-long fan when his 100th birthday came around. I remember watching the special (I had just turned nine) and jumping up and down whenever I saw a clip from a movie I had seen! 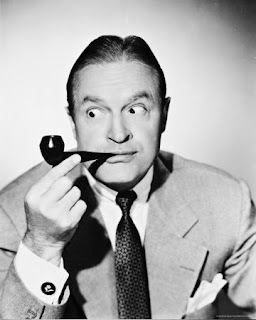 Bob Hope is just the best. 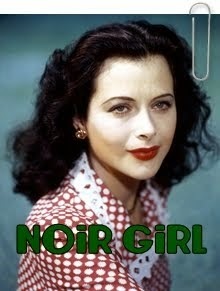 I believe his greatest work came out of the '40s (although I love stuff from other decades as well). His hugely famous, frighteningly fast delivery was always there -- but in the '40s he was just so brilliant. He had an ability to be completely dead-pan while stating the most absurd things; he was perfect at parody. He mocked everything and everyone (including himself). And, he basically made a film career out of breaking the fourth wall. For some reason, many people associate Bob Hope with slapstick humor. NOT AT ALL. I mean, he was easily great at physical humor. But, most of his humor was simply words -- and he was brilliant. This is why his work is still utterly hysterical today -- it was topical, but so completely right. 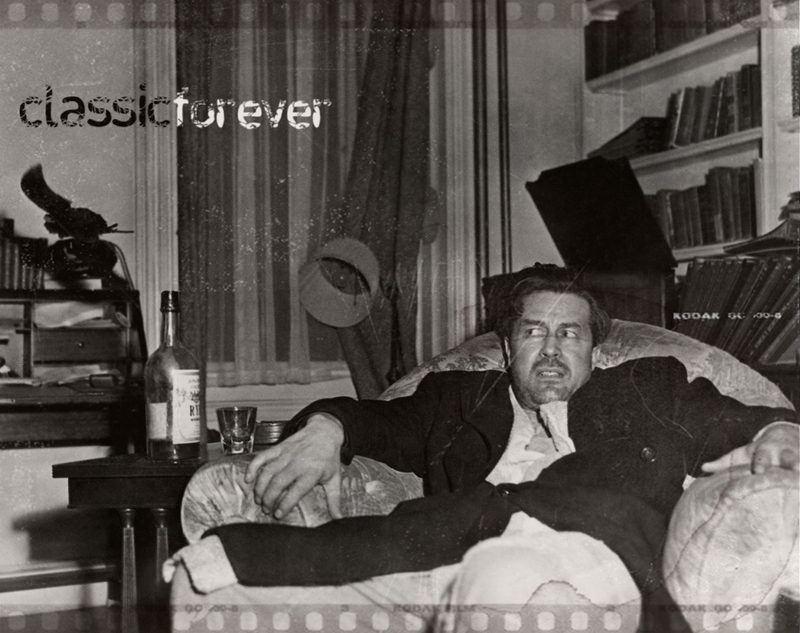 His absurdity almost always had quite a bit of truth in it. The Princess and the Pirate is utterly hysterical. 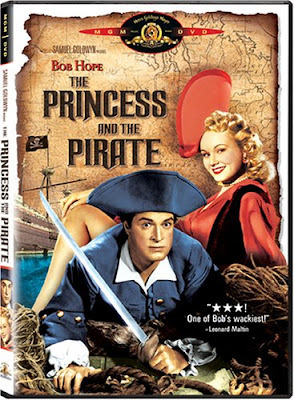 It's a parody of swashbuckling pirate movies and I almost die laughing every time I watch it! Bob plays his usual cowardly character and Virginia Mayo is awesome. But, even more awesome: the supporting cast is Walter Slezak, Victor McLaglen, and Walter Brennan. The greatest parts: the old hotel-owner lady who doesn't know WHY all the other hotels in the area randomly burn down (while she's lighting a pipe); Walter Brennan's psycho laugh, and THAT ending (not gonna ruin its brilliance). May 27, 1911. That was a cool day. Vincent Price was born. And mind-smushing entertainment was NEVER the same. Actually, basically all entertainment was never the same -- because Mr. Price acted in every genre imaginable and was BRILLIANT in every genre imaginable. Unlike some actors who wait around until a film "worthy" enough for them comes along, Vincent Price took crazy films and MADE them worthy. I would watch him in anything and everything -- exactly because of this skill. He was a contradiction: a oft-performer in low-budget AIP films, but also a gourmet who spoke many languages and owned a world-renowned art collection. He could be understated in many brilliant dramas and film noirs, but he was equally brilliant playing a psycho in Brady Bunch. VERY FEW CAN OWN THAT ACCOMPLISHMENT. 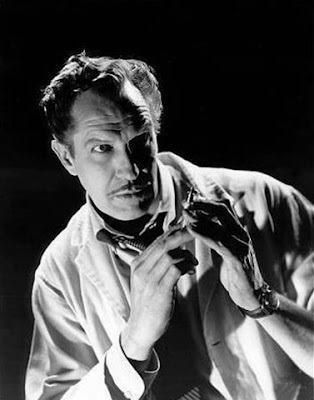 This post is quite disjointed and rambling because I am finding it difficult to put into words who exactly Vincent Price was -- and why he was SO BLOODY COOL! I think that Vincent was extremely talented and awesome and cool. 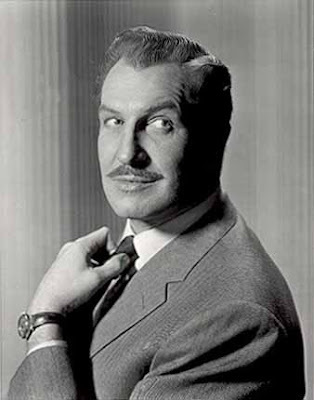 And also, I feel like if I was a cool, awesome, genius, 6' 4" man born in 1911 -- I would be Vincent Price. I mean, he was known by all his friends to get into full-blown, over-the-top dramatic debates when he talked about his favorite things... like cooking. And he used to pop up at random screenings of his films wearing costumes, in order to mess with the audience. I want to be him. "I sometimes feel that I'm impersonating the dark unconscious of the whole human race. I know this sounds sick, but I love it." 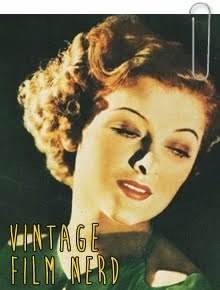 1940s: Dragonwyck. 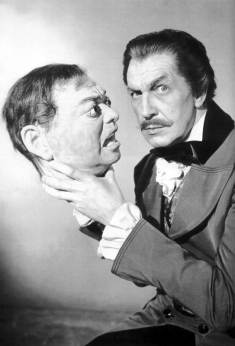 My favorite Vincent Price performance of all time. He is utterly brilliant. He employs all his different acting traits: he first charms everyone into thinking he's clearly the coolest person ever, then he gets all sinister, and then he makes everyone realize he's a psycho. I JUST LOVE IT! Honorable mention: Laura. Shelby Carpenter, you weakling. You're awesome though. Honorable mention: House on Haunted Hill. My 14 year-old brother jumped up in the middle of watching this movie in order to go lock all the doors. (This is the same brother who fell asleep watching Batman Begins). Vincent's ability to create extreme fear will never end. 1960s: Dr. Goldfoot and the Bikini Machine. Always. Always. Always. Always. 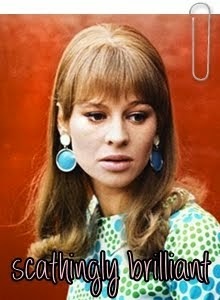 Honorable mention: Columbo: "Lovely But Lethal"
Less, but still honorable mention: THE DATING GAME! I mean, he's wearing a toga and totally mocking everyone. 1990s: Edward Scissorhands. I actually watched this solely for Mr. Price. And he was so perfect. So, according to IMDb: "In the 1960s, Price and Peter Lorre starred as crimefighting antique dealers in the unsold pilot, 'Collector's Item'." I'm going to try and wrap this up a bit, but there is so much more to say about the brilliance of Vincent Price. 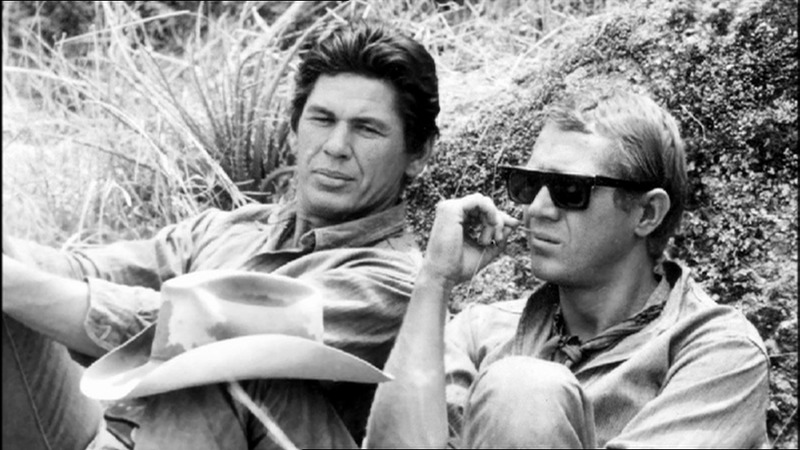 He was a genius, he had a Yale degree in art, he was a world traveler, he was a successful author of novels and...um... gourmet cookbooks, he had career that lasted for nearly 60 years, and he was greatest actor of low-budget, horribly made films in the '60s and the '70s. He was perfect. "The horror thriller offers the serious actor unique opportunities to test his ability to make the unbelievable believable." "Hello, my children! I've come home." The title of this post may or may not come from an awesome kid's radio show I used to listen to as a young child and still have every line of stuck in my head. 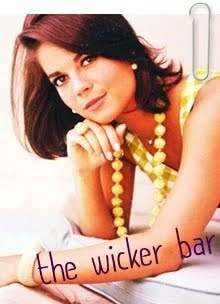 I just posted something on my Classic TV blog. You were unaware I had a Classic TV blog? So was I! I kinda forgot about it for a year or so. "Dachau. Why does it still stand? Why do we keep it standing?" Rod Serling: "There is an answer to the doctor's question. All the Dachaus must remain standing. The Dachaus, the Belsens, the Buchenwalds, the Auschwitzes - all of them. They must remain standing because they are a monument to a moment in time when some men decided to turn the Earth into a graveyard. Into it they shoveled all of their reason, their logic, their knowledge, but worst of all their conscience. And the moment we forget this, the moment we cease to be haunted by its remembrance, then we become the gravediggers. Something to dwell on and to remember, not only in the Twilight Zone but wherever men walk God's Earth." Happy 70th Birthday, Eric Burdon! 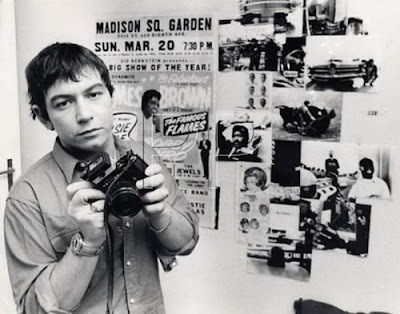 Eric Burdon turns 70 today (well, more like in a few hours. But hey! I'm a college-going girl and apparently need sleep to function well. WHO KNEW?!). When one starts talking about people who are simply and basically just COOL, one ALWAYS must mention Eric Burdon (it's an established law of the universe and any digression from this established law has serious consequences in the cosmos! People think that Mark Twain's birth and death taking place during Halley's Comet were mere coincidence. NOT TRUE. 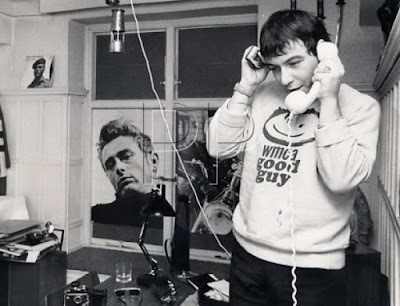 He refused to admit Eric Burdon's coolness. THIS IS WHY. By the way, I hope you stopped reading this parenthetical section some time ago). Anyway, Eric Burdon is seriously talented and awesome and cool. The Animals contain so much complete brilliance-- it's almost scary. The best part about Eric Burdon is that he never is or does what you'd expect. He's always 67 times more genius. It always greatly amuses me to show this video to someone who has often heard the song, but never seen the singer: the man my mother refers to as "The Munchkin." It nevers fails to shock people. Here is this gravelly, "old" voice coming out of a short, little 23 year-old wearing a neat, little suit. I just LOVE IT! ^The Animals-- in, I think, 1967. ^James Dean AND Eric Burdon. Cannot comprehend the sheer coolness. Well, that's about all I have to say, except that if you are not already an Eric Burdon fan-- you should become one. His voice is one of the most jarringly perfect things ever. EVER. I'm going to try to NOT dwell on the patheticness of this month's movie viewing, because it was extremely pathetic. NINE MOVIES TOTAL. 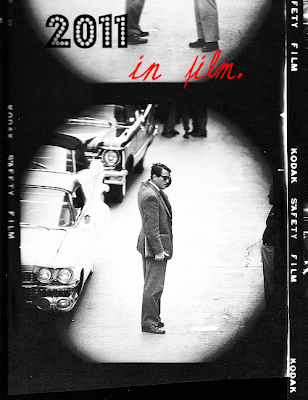 Nine movies. It would have been only five films, but on the day before the last day of the month I had some friends over for the night and we watched a few movies. That last day nearly doubled the total. THAT'S SAD. It's completely and utterly 100% Sarah's fault! She bloody informed me that the new Doctor Who was on Netflix streaming and I had been meaning to check it out for a while, so I went to watch the first episode of the second season (I was REALLY only interested in the Tenth Doctor. ;-D). The Bat. It wins by default (as in I only watched two other new films and they both annoyed me). ALSO: IT HAS VINCENT PRICE. That's always cool. Duel in the Sun. Everyone was evil. Everyone died. Gregory Peck's death scene was a pretty stinkin' awesome though. I'm gonna go with a re-watch, just because there's not a lot to choose from otherwise: The Quiet American. It's just a loverly mysterious title. (SOME may consider it a bit of a paradox, but it's all cool! ;-D) It fits the film very well: an EXTREMELY interesting story (and I LOVE Michael Redgrave's brilliance) about Vietnam, made BEFORE the Vietnam War "officially" started. I'm from a country that's been in existence for less than two hundred years, in a very old world. Fifty years ago, we were barely taken seriously as a nation, much less a great force for wisdom and decision. But suddenly now, a watch tick of history later, the world waits angrily for us to provide the answers it hasn't been able to find in fifty centuries. Once again, I'm going to go with a re-watch: The Third Man. Everything about this movie is so PERFECTLY PERFECT! The cast is utter brilliance! I don't have anything this month. Even the two movies I disliked-- had pretty awesome casts! Also re-watch, but PAJAMA PARTY TONIIIIIIIIIGGGGHHHTTT! MAY WILL BE BETTER, I PROMISE (or not really, but yeah! )!